Jessi Reaves (b. 1986, Portland, OR) lives in New York. She received her BFA from the Rhode Island School of Design. In addition to her inclusion in the upcoming 2018 Carnegie International, her work has been included in group exhibitions at venues such as the Whitney Museum, New York (2017); Institute of Contemporary Art, Philadelphia (2017); A Palazzo Gallery, Brescia, Italy (2016); and Swiss Institute, New York (2015). 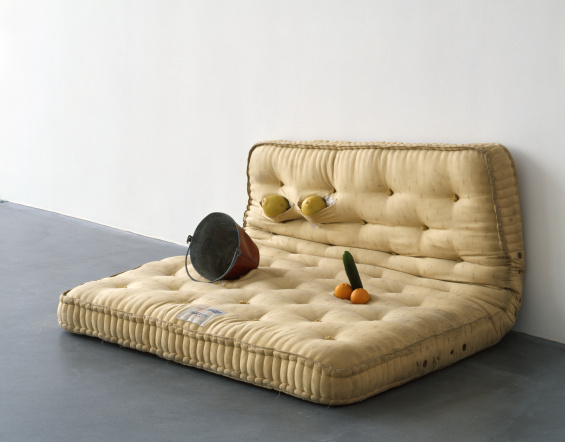 Reaves has been the subject of solo exhibitions at the Aldrich Contemporary Art Museum (2018); Herald St, London (2017); Bridget Donahue, New York (2016); and SculptureCenter, New York (2016).